(Case: 17"L x 13"W x 5.5"D) Ind. 1 Lb. The MidNite Solar Surge Protector Device (MNSPD) is a Type 1 device per UL1449 rev3. It is designed for both AC and DC systems and provides protection to service panels, load centers or where the SPD is directly connected to the electronic device requiring protection. Description: Must purchase in quantity of 12 per case, Price is per piece not per case. 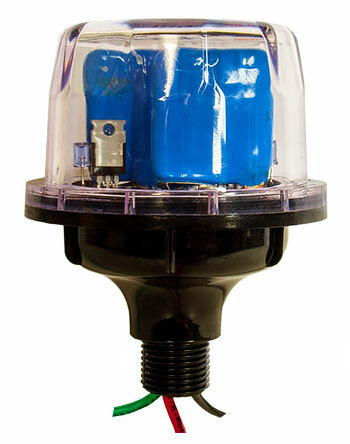 The MidNite Solar 600V Surge Protector Device (MNSPD) is a Type 1 device per UL1449 rev3 and has an outdoor rating of 4X for outdoor use. Protection for grid-tie PV combiners and inverter input circuits. The MNE250SMA-Quad Mstr This E-Panel works with 3 of the MNE250SMA-Slave E-Panels to create a Quad stack of Sunny Islands. The MNE250SMA-3PH Master E-Panel works with 2 of the MNE250SMA-Slave E-Panels to create a 3 phase system. Flush mounting kit for MidNite Solar SPDs.